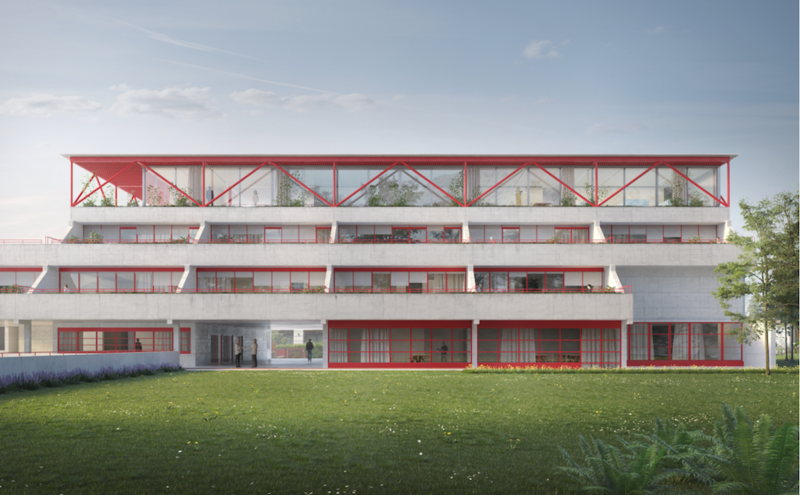 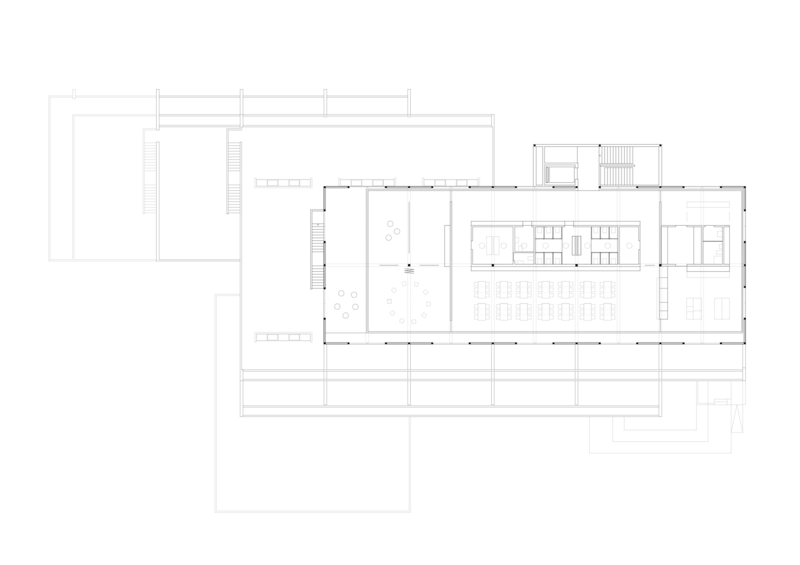 The competition brief called for an extension of the Viganello elementary school in order to provide space for a canteen and an after-school activity room for circa 100 children. 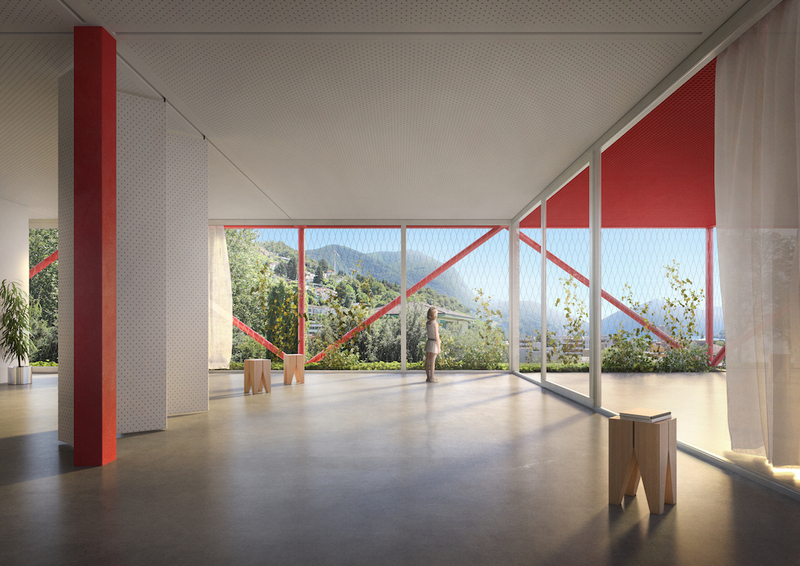 The scheme expands a 1974 design by architect Sergio Pagnamenta with a lightweight rooftop extension formally and materially in keeping with the old building: a neatly defined steel frame picks up on the scale, rhythm, and colour of the existing concrete facade; while a recessed and fully-heated glazed box reinstates the layout of the floor space below it. 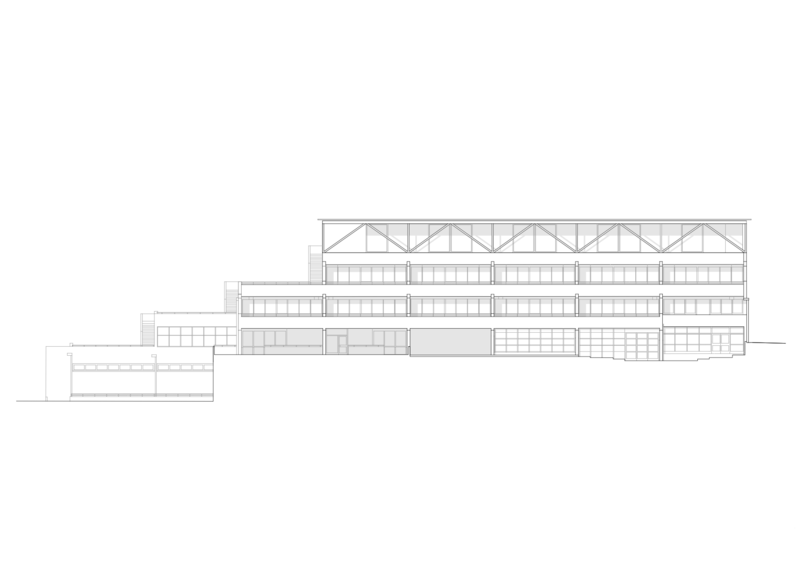 The latter features a rooftop vegetable garden to the south and a sheltered area to the west, adjacent to a flexible-space room for extracurricular activities.